Your yard becomes the envy of all the neighbors with the help of our landscaping company in Las Vegas, NV. The owner of Keny's Landscaping brings the expertise of 25 years to your property when you are seeking improvements. We provide landscape design and installation services for residential and commercial customers. Our owner spent years learning the business before branching out on his own. He has put together a team of professionals who are trained to put our customers' interests first and foremost on any job. The owner ensures the quality of the workmanship, as well as the efficiency of our operations by working on each and every job. Ask the owner of our landscaping company to come out to your property to give you a free estimate. As landscapers, we are dedicated to enhancing the appeal and value of your property—whether residential or commercial. We provide a full range of services, which extends from designing a new landscape for your home or business to installing soft or hard landscaping features. We also maintaing the health and beauty of what we have planted. When you call on us, our landscaping contractor considers best how to meet your needs. Not only do you want quality design and installation, you want competitive prices, too. Rely on us for low prices. We take the written estimate of licensed landscapers and best their offers. 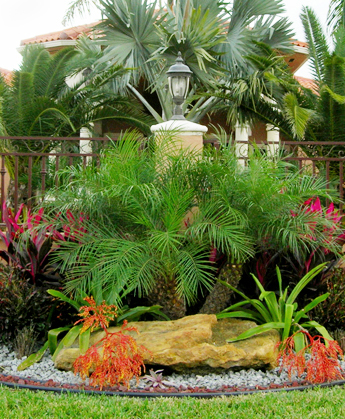 Rest assured that our landscaping services provide you with what you need for a gorgeous yard. Would you like us to install flowers or shrubs? Or do you need to start with the basics and have us install sod or artificial grass? To keep your plants healthy, our team can also put in sprinkler systems. To light up your landscaping and secure your property, we provide outdoor lighting. Incorporating hardscaping features into your property increases beauty and functionality. Let us build you an outdoor kitchen that gives you plenty of reasons to cook and eat outside. We can install brick pavers for a new patio or driveway. Our professionals can design and build a retaining wall that protects your property from erosion. Invite our owner to walk your property with you to discuss the landscaping improvements you have in mind. We offer free estimates. Contact us today to make your property a more beautiful and enjoyable place with our landscaping services. Our contractor serves customers in Las Vegas, Henderson, North Las Vegas, Summerlin, and Green Valley, Nevada, and the surrounding communities. We provide soft and hard landscaping for homes and businesses.